Saving money in the modern market is becoming more and more difficult as time goes on. We have to contend with the fluctuating value of our own currencies, which, if you take a fleeting look at any news report, is getting worse wherever you are in the western world. President Trump’s time in the White House has had an impact on the global market, and the impact of Britain leaving the EU is having an effect on the British pound, and things will only start to get worse before it gets better. Loathe as I am to start on such a dour note, what does this mean for the common man? Well, the impact it has on everything will be affected, house prices, your credit score, and inflation will all change. It means that for younger people just starting out in the world, whether they have just left university or they are entering into a profession, their money will not travel as far as it once did. The amount of people who are unable to acquire a mortgage even though they are working full-time is staggering. And even couples where both partners work are unable to get the mortgage for the home they want and have to settle for an apartment or a house that doesn’t suit their living arrangements, it can be somewhat demoralizing. And while we all can say that we could do with more money, what can we do to actually achieve this? Here are some approaches that may help you out in the modern world, and some that may be a bit left of center. This may sound somewhat counter intuitive, but it depends on how you work it. The first point to make about working freelance is that you have untapped potential in your earnings if you can work 12 hours a day for 7 days a week, the opportunity is there for you, so you do need to look at the health side of things. And although it is, in essence, working two jobs (or more), if you can balance your life out this means you can earn a lot of money in a short space of time. So if you are in the middle of procuring a mortgage while being self-employed, the banks tend to look at a few years of your earnings so they can get a better idea of your financial situation. They do this by looking at your tax returns, so if you can work in two self-employed occupations to bump your finances up past a certain threshold, it means you will look better on paper, and the bank is more likely to give you a suitable mortgage. The personal impacts are, of course, massive and are worth considering. But if you can obtain freelance contracts through companies that have different deadlines for work, or require you to do as much work as you can and get paid for your effort rather than having to dedicate yourself to a strict working schedule, you can organize your life better and get a good balance. The benefits to freelance and self-employed contracts are that you can work from home for a lot of them. It ultimately depends on the nature of the job itself, but there are roles where you can transcribe voice commands, or transcribe meetings or hearings with a deadline that is not within 24 hours, leaving you to plan ahead and earn as much money as you are humanly capable of. There are many part-time endeavors that you can invest some time in while you work at home. Things like online surveys that pay per survey you complete, so you do not need to work to a clock, but these can pay pittance, but if every penny counts, and you are tied to work at home, then it is incredibly convenient for you. 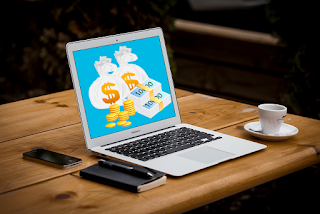 The self-employed freelancer route has been a popular choice for younger people looking for more freedom from the standard workfare, and this has so many positives going for it when you are looking for a quick cash injection over a short space of time. Investing comes in many different shapes and forms, and if you are looking for a long-term investment, gold seems to be the one that is talked of in savvy circles. With any investing, there are pros and cons, but there are also different types of gold to invest in, so you should weigh up which ones are the best for you. There are ETFs (exchange-traded funds) and these shares similar to funds that track an index. You can buy and sell these through stockbrokers or investment brokers. Unit trusts are run by fund managers, and they invest in bullion as well as gold-mining companies. You can purchase bullion coins or bars that are made for investment reasons. You could buy gold physically via trading platforms such as BullionVault. They can be purchased or sold in small units and are stored in vaults (so you don’t have to keep them at home!). Gold is a fickle stock to trade in, and there are services online, like gold signal, that keep investors up to date on the movements, but there are pros and cons to bear in mind. Gold doesn’t pay income, which means that it is a difficult asset to value; the price changes a lot and can slump down or spike up as often as the wind changes direction. But as positives go, it doesn’t move with other assets, like property; and it is viewed as the best insurance against perils like inflation that could cause issues with the global stock markets. The popularity of cryptocurrency and Bitcoin specifically is showing how the internet is transforming how we are dealing with our money now. This is a relatively new form of currency, but although it hasn’t reached the stock market, it is being touted as a major investment. There are even online stores that will accept Bitcoin! Invented in 2008, its whole premise is about the ledger, which is not run by any central organization (like a bank). And the currency monitored on the ledger (the ledger is known as the Blockchain) is earned by people who use their computer power or hardware to record transactions onto the Blockchain, these people are known as miners. The procedure might be a little complex to follow, but if you have a piece of computer hardware that has the power to record these transactions, it means you have a massive leg up on the operation because it is more in demand now than ever before. So if you have a powerful computer, you could do additional mining in your spare time and amass a huge amount of Bitcoin. There are pros and cons to this, of course, the downside to this type of currency is that it isn’t officially recognized in the eyes of many people. But if you are able to source out places online that will accept Bitcoin, and there are quite a few, then it is money that you don’t need to spend in the real world. As it isn’t devalued by processing fees and charges that the banks would add to the process, it is an unsullied form of money. But with this way of earning, if you need to invest in a computer to cope with the amount of processes that you intend to do, it may take some time to recoup what you originally spent, and, here’s the clincher, there is only a certain amount of currency available in the world. So once that currency becomes devalued or runs out, it is impossible to “print” more. As with any trading online, it can become a full-time career, and there are many financial advisors that work with Bitcoin, and there are businesses whose sole purpose is to trade in Bitcoin. So while it is a currency that may be under the radar in comparison to the “real-life” currency, it is going overground in a big way. The peril in looking for money quick may mean you are so desperate, you will click on the first Payday Loans website and fill out your details. But the high interest in these types of loans will mean you are probably going to spend a lot more in paying it back than the amount you took out in the first place. If you are looking for a quick way to have some more money, an overdraft extension is a lot less impactful. It can affect your credit score if you are declined, but the financial implications won't be as bad as the debt you could accrue, and by getting another loan to pay off your loan could put you in a very bad cycle, one that is nigh on impossible to get out of! 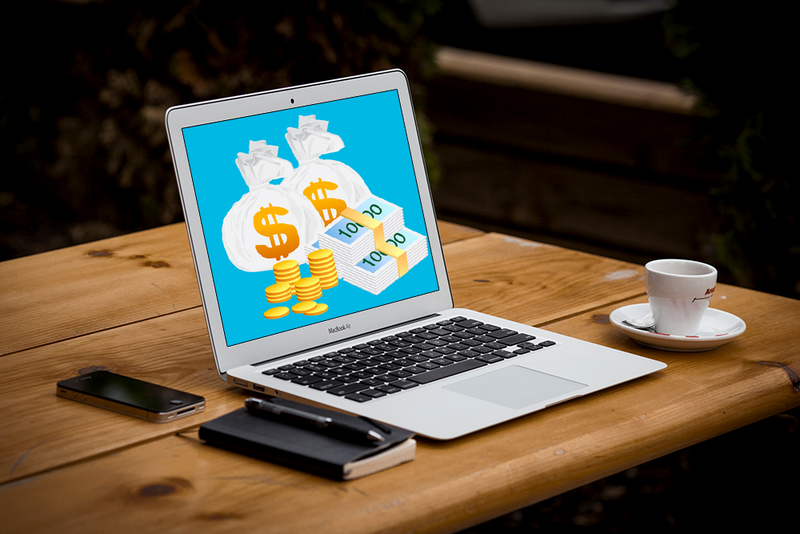 There are many ways to earn money in the modern world, and from old ways to digital ways to just being savvier with your working habits, there are options out there for you.